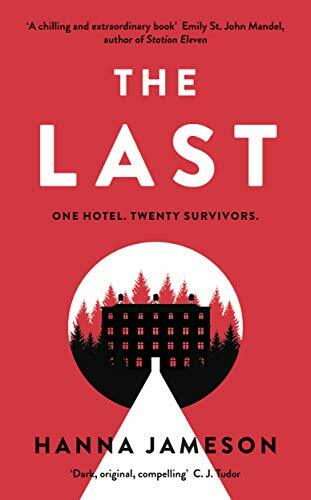 Review – The Last by Hanna Jameson – 4 Thrilling, Fascinating Stars!!! When Jon Keller goes to a conference in Switzerland, the world as he knew it, changes before his very eyes. As panic ensues, he finds him self amongst the twenty people left at his hotel. Mysteries lie ahead for Jon; deceit, lies, and secrets, are uncovered. Can Jon really trust those left in the hotel, or is his own life at risk? The Last was a great read, and I found myself captivated by the story from the beginning. Jon was an intriguing character, the story is written as Jon documents everything that is happening around him, almost like a diary. This worked well for this story, although at times, I felt Jon was becoming a little repetitive, and almost boring. With this said, given the time spent in the hotel, after some weeks of not knowing the future, it was understandable why Jon had become depressed in some way. This story uncovered many different secrets throughout, keeping readers on their toes for what would happen next, and wondering if the people in the hotel were, who Jon believed them to be. I loved the idea that this story mainly focused around them trying to survive within the hotel, creating some kind of life for themselves. When they decided to venture into the wider space, looking for supplies, I found my heart racing with theirs, as they entered the unknown. Unaware of what may lay ahead, or if they would manage to make it back to the hotel, unscathed. The Last was a fascinating story, that I truly did enjoy. It was a unique, exciting, and thrilling book, that any reader who enjoys the mystery, thriller genre will definitely enjoy.